The time has come to hibernate, and where better to hole up than in the warmest, most welcoming bars of Philadelphia? From fireside chairs to live music to spiked cocktails with a kick, here are the city’s best bars to hole up in this winter. 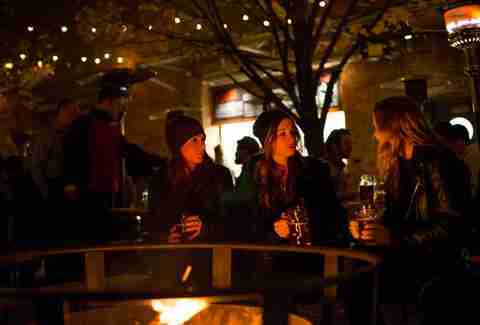 When it comes to getting warm by the fire this winter, Philly has many bars to choose from. In a pinch, though, Devil’s Den is the place to go. 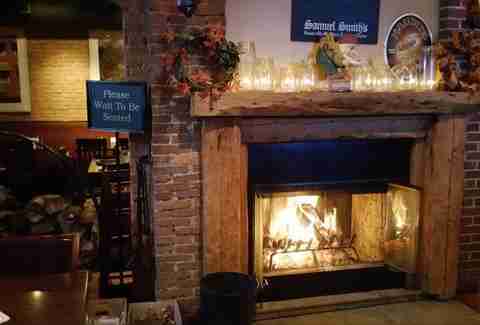 The cozy South Philly spot prides itself not only on a beer list of 200 bottles and its comfort food menu, but on its homey fireplaces as well -- so much so that it has an annual fireplace lighting ceremony. Though there is no shortage of bars that will be showing the big game in Philly, there’s always the one recurring issue of seating. 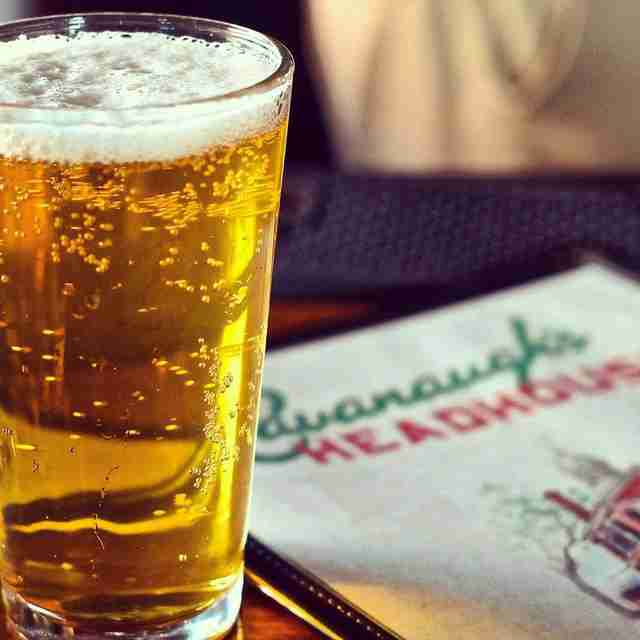 Most sports bars fill up fast, but Cavanaugh’s Headhouse does a great job providing ample space. On its two floors, find yourself gawking at one of its many TVs, whether you find yourself nestled at the bar or if you scored a table. This one is a no-brainer. How can you deny this adults-only arcade (with booze)? The rotating tap list will only help you hone your skills at Donkey Kong, Ms. Pac-Man, Star Wars arcade, and the dozens of other games that will distract you from how cold it is outside. 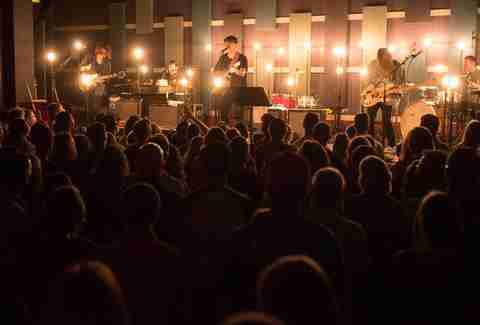 The music venue at XPN’s Philly headquarters has two stages: one on entry level, surrounded by a bar and overlooking Walnut St, and a bigger stage one floor below where you’re in for an intimate performance no matter where you stand. Plus, it’s totally feasible to order tacos at the bar while you’re being entertained. Winter is a time for dark beers. Philly’s finest beer bars know this, and the Cambridge has one of the most tantalizing on-tap lists (and “up next” lists) for drinking the best beers any time of year. 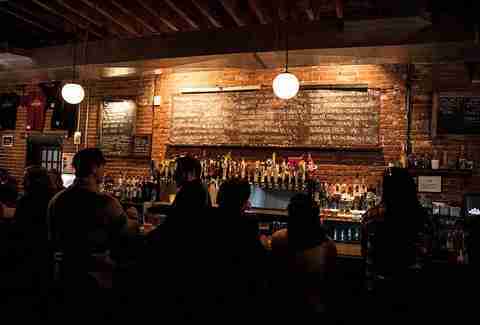 The dark interior decor and twinkly lights, however, make the beer menu taste best during winter time. 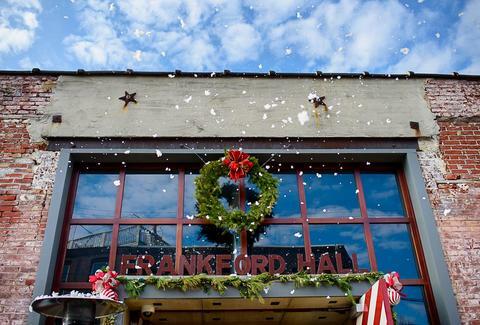 If you’re in denial about the dropping temperatures (or are relishing these increasingly common mid-winter heat waves), take solace outdoors by one of Frankford Hall’s many fire pits while sipping oversized beers (another method for staying warm) at a picnic table. 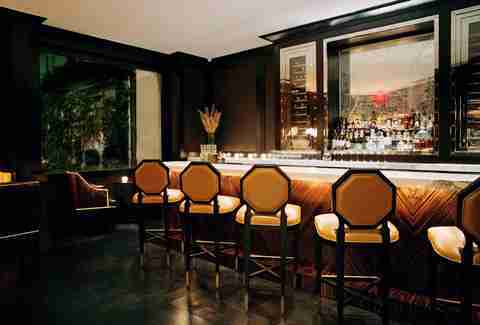 Yes, it feels like every nook and cranny of this Rittenhouse staple is cramped on a Friday or Saturday night. If you happen to go when it’s not so bustling, it’s much easier to enjoy the cozy backroom bar, the dimly lit seating areas near the front bar, and the timeless combination of rare beer, and eight kinds of mussels and frites. 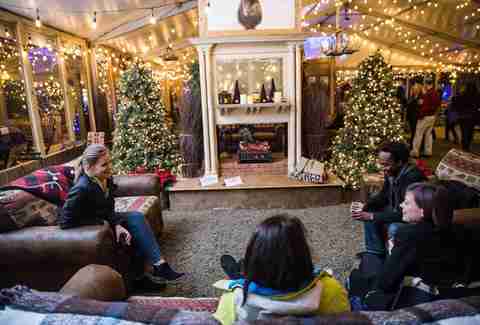 Winterfest at Penn’s Landing fulfills most winter wonderland dreams -- ice skating, fire pits, occasional live music, comfy chairs -- but perhaps most wonderful is its extensive menu of spiked hot drinks. A dash of maple bourbon in the hot cider will warm up your insides -- just don’t drink and skate. A blend of cardamom, vodka, and nectar mingles to create this perfectly festive winter infusion. One glass of this (or any of the Library Bar’s other killer cocktails), plus the welcoming seating by the bar’s adjacent fireplace, are the makings for the perfect winter night. Marielle Mondon is a freelance writer from Philly who believes a hot toddy is the only cure for the common cold. See her Internet life on Twitter and Instagram @MarielleMondon.